Videoslots Casino $200 Bonus 18+. T&C's Apply. Ah, vampires! The bread and butter of horror, though recent books and TV shows seem to have pushed them into everything from action, to romance, and now, gambling! Blood Eternal is a Betsoft release for September 2017, possibly trying to snag the Halloween market early? Regardless, it breaks the norm, offering gamblers a 6×3 reel with 30 paylines that pay both left to right and right to left and it throws Scatters out the window in favour of vampires and humans. With the expanded reel and paylines that pay both ways, the opportunity for some fun is certainly there, especially when you account for the presence of a very valuable bat symbol, and not the type you’d flash to summon Batman, either. As for appearances, it takes the bucket of paint that says Gothic on it and throws it against the wall, and calls it a day. There’s little in terms of appeasing the crowd that likes their vampires romantic. Instead, these blood suckers look positively monstrous, and their victims actually look intimidated and scared of them. In fact, the vampires need to be lined up next to their human victims to bite into their necks, though it seems Betsoft chose to stay on the safe side and didn’t make it look too gruesome, not that we can blame them. One fault we did have is that the paytable text is too small and seems just a little bit out of focus. So, as we mentioned, Scatters are missing in action, and vampires have taken their place. And vampires have a penchant for biting people on the neck. 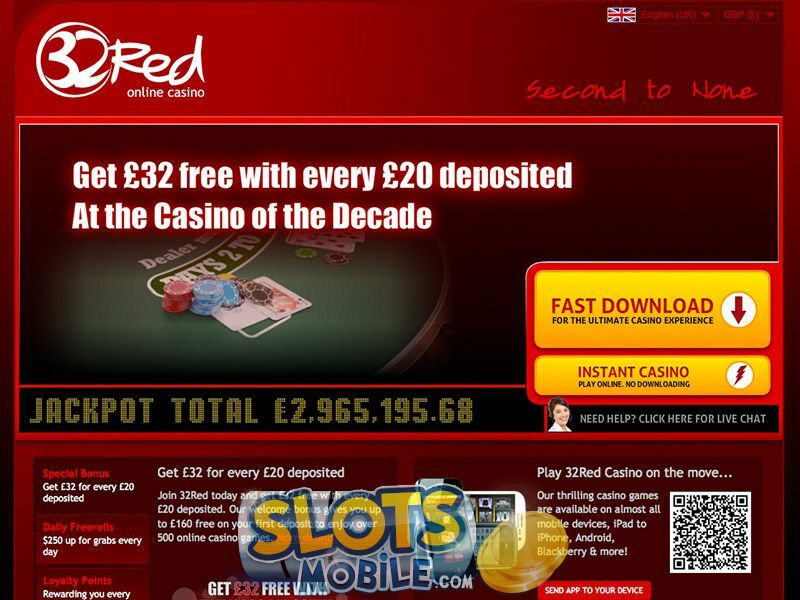 This is the trigger condition for the free spins, which should technically mean that on paper you are supposed to see less free spins, though from our personal experience, it seems to be balanced just enough to appear after a losing streak, or to boost you forward in order to prompt you to keep spinning and lose out on what you managed to earn. Vampires can only appear on the second and fifth reel, and the humans can only appear on the third and fourth. However, they also have to line up to sit next to another. If you have a vampire at the bottom of the second reel, he won’t be able to bite the human that sits on the top of the third reel. It’s difficult to really get a feel for this slot, and the way it’s structured benefits to that. 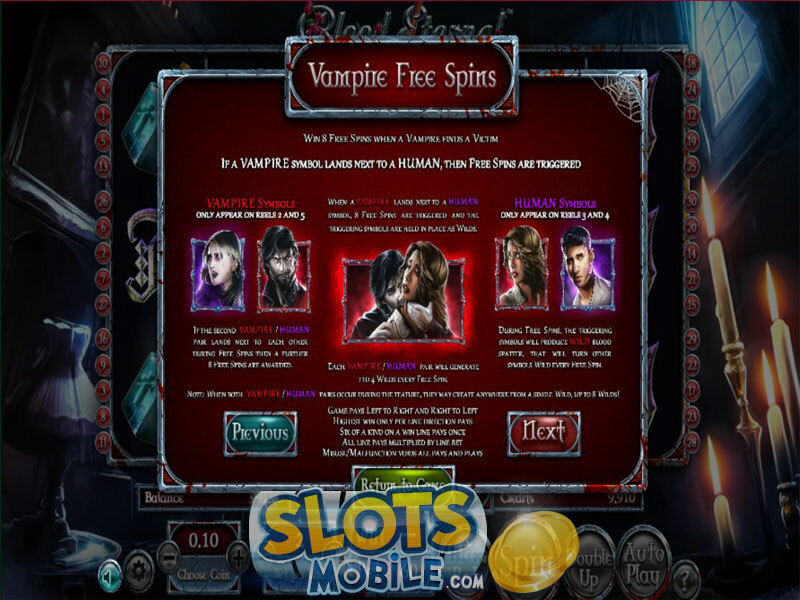 Winning streaks don’t appear that often as losing ones, and it seems that Betsoft was more inclined to make wins big and bombastic, while slowly draining your blood otherwise like a true vampire. One look at the paytable shows as much, as three of a kind wins are very small, even with what the game itself dubs high winning symbols. Thanks to the six reels and the bat icons, you can’t really predict when the next big win will appear. 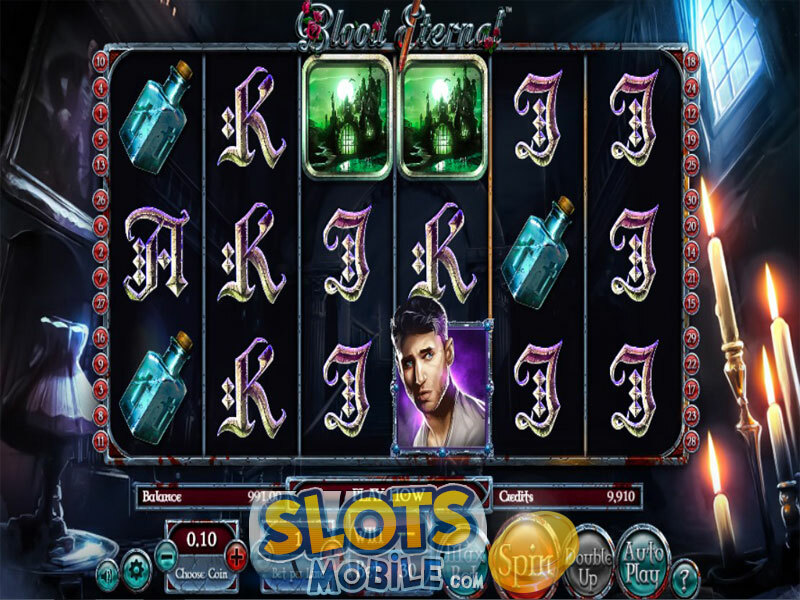 Blood Eternal allows gamblers to spin it for $0.60 up to $150. However, Betsoft calmly says you’re betting 30 coins when everything is set to minimum, so unless you’re paying attention to your changing balance, you wouldn’t even notice. A bit of an underhanded trick that you should keep a look out for. There’s no progressive jackpot to chase after, and the title hides the low paytable it has in a very sneaky manner. The values in the paytable don’t quite match up to what you’d naturally think are accurate numbers, so it comes down to watching your balance to really keep track of the full values. For example, the single greatest jackpot you could score is from getting twelve bats, and while the slot tells you it’s worth 10,000, if you’re betting at $3 per spin, that actually comes out to be a 500x win. Still, this in mind or not, it doesn’t change that the big earners are the bats, and the vampire free spins. The bats have two symbols – an ordinary one that pays like one bat, and a golden plated one that pays as if you have two bats there. As such, you’d need six double bats in a row for the biggest win of just 500x your wager. Far from spectacular, in our book. 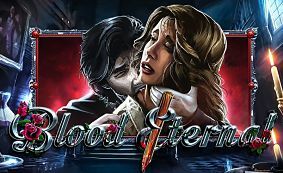 Beyond the vampire free spins, Blood Eternal offers no other bonuses for gamblers looking to try their luck with it. It’s a good effort by Betsoft, and you should give it a try if you like vampires, but it’s nothing revolutionary. Drake Casino $5000 Bonus 18+. T&C's Apply. Mr. Green Casino $250 Bonus 18+. T&C's Apply.